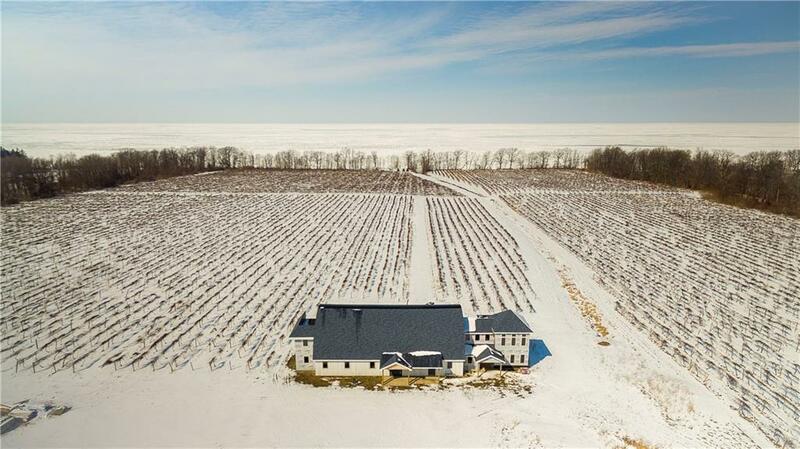 Exceptional-1 of a Kind" 41 Acre property with 30 acres of vineyards with Welch Foods Contracts and 1200 feet of tree lined lakefront. 2 Story Building is ready for completion as a winery/brewery/distillery/restaurant. Has 4800 sq. feet of space/seating for at least 135 patrons. Unique 2nd floor "barrel" natural timber ceiling in main dining area overlooking the lake. At the lake, there is a unique pavilion for spectacular sunset weddings. Exceptional spot to open a business as it is situated on the Chautauqua County Wine Trail which includes over 21 wine businesses. Seller would consider separating the Western side with 25.5 acres/19.5 acres of vineyards/650 feet of lakefront along with the building and the Eastern side with 15.5 acres/10.5 acres of vineyards/550 feet of lakefront.